This bracelet has a double-strand design, hand-woven from soft nappa leather into the signature coaxial motif. 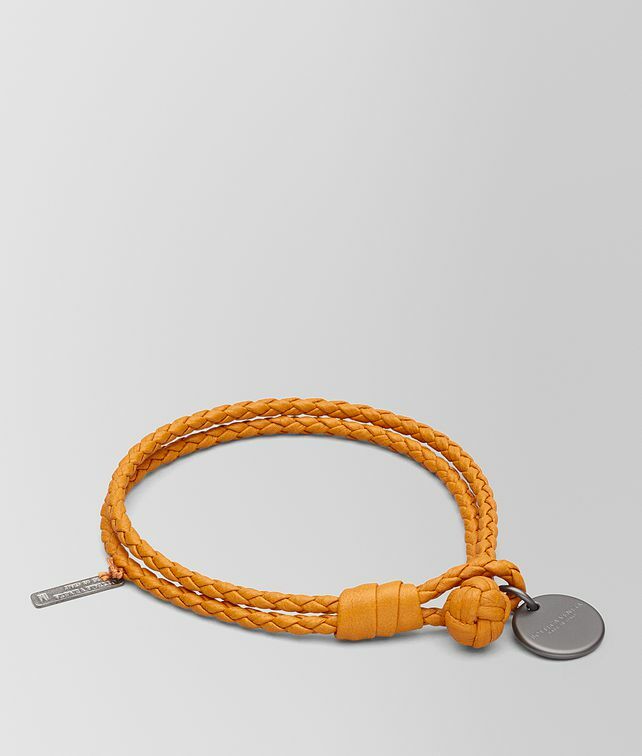 It is finished with an iconic knot fastening and brunito-finish charm, subtly engraved with the house's logo. Size XS: 71 cm | 6.9"
Size M: 18.5 cm | 7.3"
Depth: 21.5 cm | 8.5"